History is being made this week as the World Series of Poker (WSOP) is holding tournaments on the continent of Africa for the first time. A stop on the WSOP Circuit, WSOP Africa is currently underway at the Emerald Resort and Casino in Vanderbijlpark, Gauteng, South Africa and will run through the end of the month. WSOP Africa consists of two events. The first, which started on Monday, October 25th, is a $1,100 buy-in Pot Limit Omaha tournament with $300 rebuys for the first three hours and a single $400 add-on available at the end of the rebuy period. Starting stacks were 2,500 chips with blinds beginning at 25/50 and increasing every 60 minutes. This is a three-day event with a maximum registrant cap of just 200 players. The $5,000 No Limit Hold’em freezeout Main Event kicks off on Thursday, October 28th with a maximum of 500 players starting with 40,000 chips. Once again, the blind levels increase every hour and start out at 50/100. Antes will make their initial appearance in level five. This will be a four-day event; the field will be narrowed to the final nine by the end of day three, with the final table competition beginning at 10:30am local time on October 31st. While WSOP Africa is part of the WSOP Circuit, the winners of each of the two events will not be awarded gold rings like the winners at other stops. 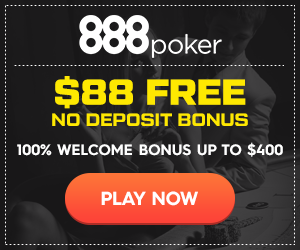 The tournaments also do not count in the WSOP Circuit points rankings – only stops in the United States count – so nobody will earn an automatic spot in the WSOP Circuit National Championship held at Caesars Palace in Las Vegas prior to the start of the WSOP next year. Also taking place during WSOP Africa is the Gus Hansen Charity Event, scheduled for October 27th. R2,000 (USD $287) gets one into the event, while R3,500 (USD $502) gets a player a VIP seat at the Great Dane’s table. The Full Tilt Poker pro has had success in WSOP events outside of the United States, winning the £10,000 High Roller Heads-Up tournament at WSOP Europe last month and placing tenth in the £10,000 WSOP Europe Main Event in 2007. All told, Hansen has won $908,782 in WSOP events, just under half ($444,925) coming from that lone bracelet win this past September. Hansen, of course, is scheduled to compete in the WSOP Africa Main Event. The Emerald Resort and Casino is located on the banks of the Vaal River in Vanderbijlpark, about an hour south of Johannesburg. The casino’s regular poker room is small, housing just six tables, although only four of those are what poker players would actually consider “real” poker tables. Those four feature good, old No Limit Texas Hold’em, while the other two are really casino games: Casino Hold’em Progressive and River Poker. Two of the tables are reserved for daily cash games starting at 10:00pm, while we presume the other two are for sit and go tournaments. The Emerald poker room also holds a larger tournament every Sunday at 2:00pm for a minimum of 10 players and a maximum of 40 players. The buy-in is R300 ($43), but the tournament can also be entered for 3,000 Emerald Rewards points. WSOP Africa comes right on the heels of the WSOP Circuit Regional Championship, which commenced on Monday, October 25th at the Horseshoe Casino in Hammond, Indiana. 226 competitors hit the felts in the $10,000 buy-in event to battle it out for the $525,000 first prize. The final nine players, in addition to receiving attractive paychecks, will earn seats in the WSOP Circuit National Championship.